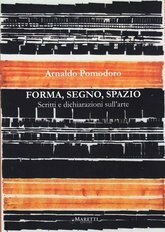 A list of the most important monographic works dedicated to Pomodoro, which have marked the principal phases of his critical recognition. These are only the most substantial publications, essential for understanding his art, or specifically dedicated to one of the more decisive aspects of his work, thus the starting point for his rich bibliography. 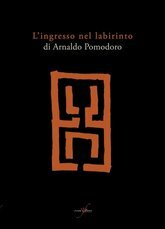 A volume that documents, for the first time exhaustively, the environment Entrance to the Labyrinth with a full set of photographs and texts by Aurora Donzelli, Gino Fienga, Federico Giani and a poem by Aldo Nove. 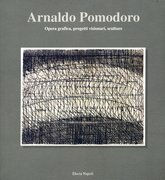 Catalogue of the exhibition organised at Milan (Royal Palace, Triennale, Fondazione Arnaldo Pomodoro, Poldi Pezzoli museum) on the occasion of Arnaldo Pomodoro’s ninetieth birthday. Introduced by a conversation between Ada Masoero and the sculptor, it contains an essay by Giorgio Zanchetti and texts by Aldo Colonetti, Ada Masoero and Antonio Calbi. 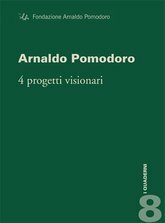 Catalogue of the exhibition organised by the Fondazione Arnaldo Pomodoro and Milan’s Triennale to describe four “visionary projects” by the sculptor. 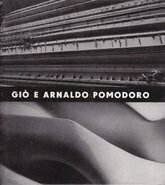 It contains texts by Arnaldo Pomodoro, Ada Masoero, Aldo Colonetti, Giulio Carlo Argan, Sam Hunter and Alberto Ferlenga, a poem by Aldo Nove and a conversation with Gillo Dorfles, a full set of photographs and documents. 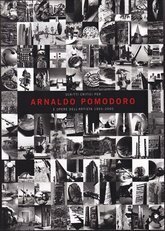 Collection of reflections and notes written by Arnaldo Pomodoro between 1967 and 2011 on his career as an artist and, more generally, on the idea of making art. 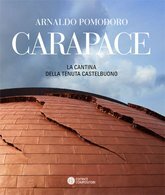 Publication dedicated to Carapace (2005-2012), sculpture-architecture created for the Fratelli Lunelli winery in Bevagna, Umbria. 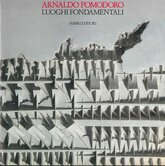 It contains a conversation between Arnaldo Pomodoro, Gillo Dorfles and Aldo Colonetti, a photographic portfolio by Antonia Mulas and Pietro Carrieri, and contributions by Giorgio Pedrotti, Ermanno Casasco and Barbara Balestreri on the development of the site and on the landscaping and lighting. 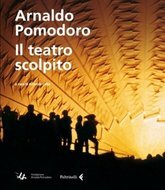 Monograph on the work carried out by Arnaldo Pomodoro for the theatre between 1972 and 2011. The book contains a long conversation between the artist and the curator Antonio Calbi as well as numerous texts and direct testimonies of those who collaborated in staging the shows. Each set has been reconstructed through a full documentation of texts, images and correspondence, as well as a selection of press reviews. An index of names also appears among the apparatus. Catalogue published for the exhibition curated by Bruno Corà in the Foundation’s exhibition spaces in via Solari 35 in Milano. Carlo Orsi’s photographs also document the stages of preparation. Critical notes by Lorenzo Respi. Catalogue of the exhibition organised in two locations: in Reggio Emilia, in Palazzo Magnani and along Corso Garibaldi and in Correggio, in the Palazzo dei Principi. 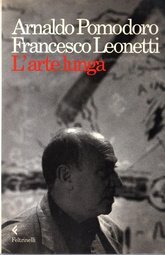 It contains a long conversation between Sandro Parmiggiani and Arnaldo Pomodoro, an essay by Luciano Caprile, as well as an anthology of critical, literary and poetical writings dedicated to the artist. Catalogue published for the exhibition in Lugano’s city centre. Inside are essays by Rudy Chiappini, Giovanni Raboni, Flaminio Gualdoni and Luciano Caprile. 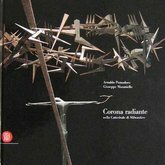 Volume dedicated to the genesis and realisation of the work arising from the collaboration between Arnaldo Pomodoro and Giuseppe Maraniello for the Cathedral of Milwaukee. Essay by Marco Meneguzzo and photographs by Alberto Piovano. Published in double language: Italian and English. 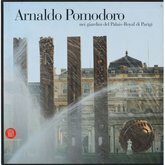 Volume dedicated to the Sala d'Armi in the Poldi Pezzoli museum redesigned, between 1998 and 2000, from a project by Arnaldo Pomodoro. The publication is enriched by essays by Vittorio Fagone, Silvio Leydi, Alessandra Mottola Molfino, Angela Vettese and Annalisa Zanni. Book on the 2002 exhibition in the gardens of the Palais Royal in Paris. Texts by Carlo Bertelli, Pierre Restany, Jacqueline Risset and photographs by Paolo Mussat Sartor. Also contains photographs of the preparation and inauguration, with a selection of press reviews. 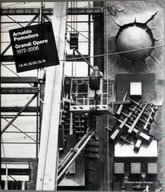 Volume that collects the texts of the major international critics (including Arbasino, Argan, Bonito Oliva, Carandente, Hunter, Rosenthal, Volponi, Zeri) who have commented on and discussed Arnaldo Pomodoro’s works, and together present images of the first nucleus of the Foundation’s collection. 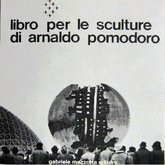 Volume published for the 1997 exhibition at the Rocca and city of San Leo. 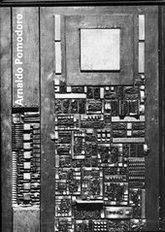 Critical essay by Achille Bonito Oliva, unpublished writings by Paolo Volponi, conversation between Arnaldo Pomodoro and Francesco Leonetti. 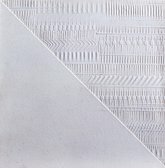 Volume published for the installation of Wing Beat (1981-1984), donated by the Italian government to the City of Los Angeles in 1998 to commemorate the fortieth anniversary of the Marshall Plan. 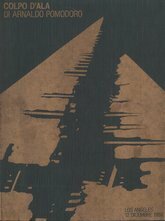 It contains critical essays by Giovanni Carandente and Italo Mussa, technical documentation on the installation, as well as an anthology of the main essays on the artist. 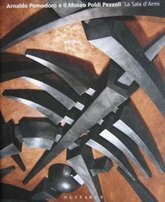 Volume published on the occasion of the donation of the Sfera con sfera sculpture (1991) to the United Nations. 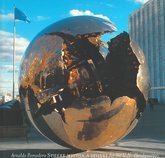 It documents the project, the creation, assembly and installation of the work in New York in front of the UN Building, in 1996. 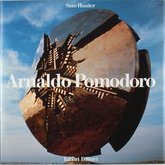 It contains an introductory text by Sam Hunter and gives an account of the evolution of the ‘sphere’ in Arnaldo Pomodoro’s work. Substantial monograph edited by the American critic Sam Hunter and planned by the designer Massimo Vignelli. The volume is divided into four sections: the first dedicated to the sculptor’s training, the second to the great works, the third to the theatrical sets and the last to his visionary projects, both created and not. It also contains a large bio-bibliographic apparatus and numerous illustrations. Boxed set of catalogues relating to the two exhibitions held in Summer 1995 in Rimini at the Museo della Città and at Cesena at the Rocca Malatestiana and the Ex Pescheria Art Gallery. Critical texts by the curator Renato Barilli. Published in Italian and English. 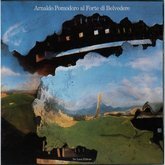 Conversation between Arnaldo Pomodoro and the poet and friend Francesco Leonetti where the artist talks about himself through his artistic and human endeavours. 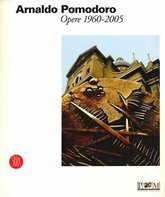 A book that documents, through Carlo Orsi’s images, the monumental exhibition organised in 1984 at the Belvedere Fort in Florence. Introduction by Italo Mussa and critical text by Giulio Carlo Argan. Catalogue of the great exhibition at the Belvedere Fort in Florence. Introduction by Italo Mussa, texts by Jacqueline Risset and Mark Rosenthal, interviews with Arnaldo Pomodoro by Francesco Leonetti and Sam Hunter. 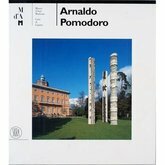 The catalogue includes the sections of the exhibition introduced by a curator’s “guide” and accompanied by a wide selection of critical thoughts (extracts from the presentations, essays, and articles that have followed Pomodoro’s creative activity between 1955-1984). 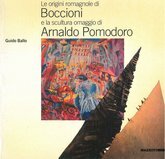 Publication dedicated to Umberto Boccioni and the Wing Beat: to Boccioni sculpture (1982), created by Arnaldo Pomodoro on the centenary of the Futurist artist’s birth to celebrate their common Romagni origins. The work was donated to the Morciano Municipality in Romagna and installed there in 1984. 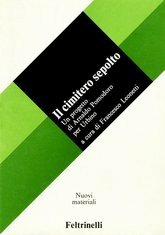 Book on the debate around the project for a new cemetery at Urbino which after winning the competition in 1973 was suspended and then definitely abandoned. It documents the wrongs and rights of the controversies and the expressed reservations, alongside the favourable evaluations with critical interventions by critics, writers, architects and scholars (Argan, Aymonino, Benevolo, Risset, Vergine, Volponi, Zevi amongst the others). It also contains the report of the public assembly held at Urbino in 1979 and a wide selection of articles that appeared in the press over a period of about eight years. Catalogue of the exhibition at the Rotonda della Besana in Milano, organised by Ettore Sottsass. 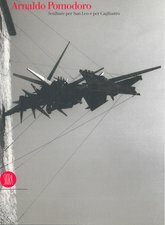 Besides the critical essays by Sam Hunter and Franco Russoli, it contains a long interview by Sam Hunter with Arnaldo Pomodoro. Photographs by Ugo Mulas and Mario Carrieri. Sam Hunter’s texts, published in English, were translated into Italian by Roberto Sanesi. 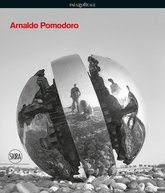 First comprehensive survey on Arnaldo Pomodoro’s work through a multiplicity of voices and critical interpretations. It contains essays by Guido Ballo, Alberto Boatto, Gillo Dorfles, a presentation by Sam Hunter and a long conversation between the artist and Francesco Leonetti. The photographs are by Ugo Mulas. First critical study that distinguished and analysed the works of the two Pomodoro brothers.